Located in Užice, Serbia, Prvi Partizan (PPU) is one of the world’s largest modern ammunition manufacturers. 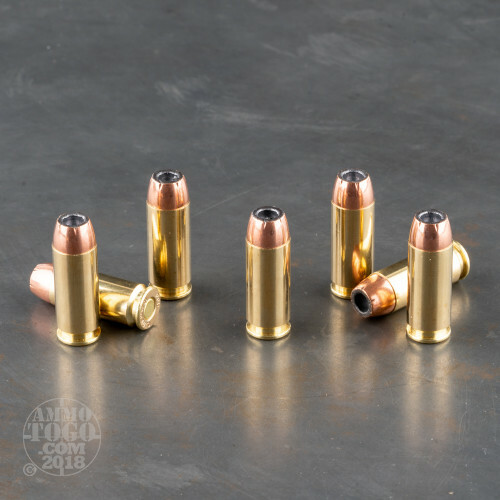 The Prvi Partizan ammunition plant manufactures ammo for military and law enforcement use, yet also produces high-quality rounds for civilian shooting applications. The company offers performance and reliability at a price point perfect for the high-volume or budget-conscious shooter. 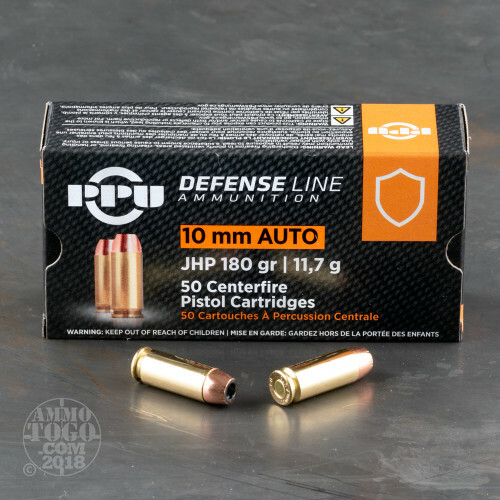 Loaded with innovative jacketed hollow point (JHP) projectiles that are specially engineered to maximize stopping power, PPU’s new Defense Line delivers massive expansion and hard-hitting weight retention. Each of these new production 10mm Auto cartridges is loaded with a 180 grain specially designed JHP bullet. Leaving the muzzle at a velocity of 1082 feet per second, each round produces a muzzle energy of 468 foot pounds. 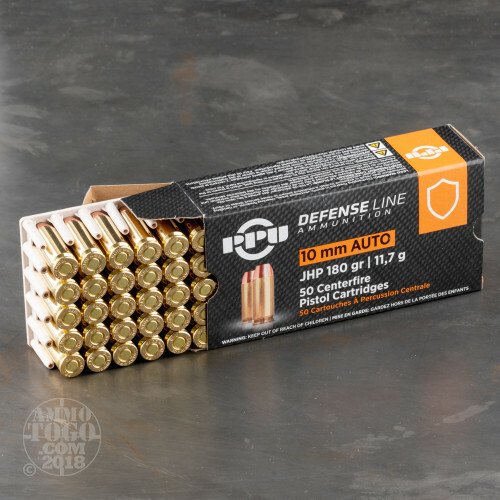 Packaged in 50-round boxes, this ammunition is non-corrosive, boxer primed and brass cased. 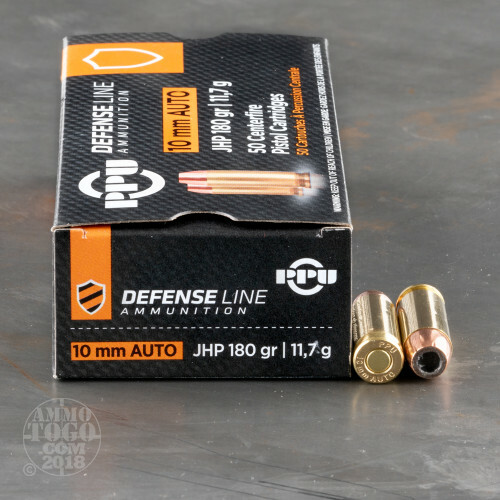 Use PPU Defense ammunition for concealed carry, home defense, or personal protection.